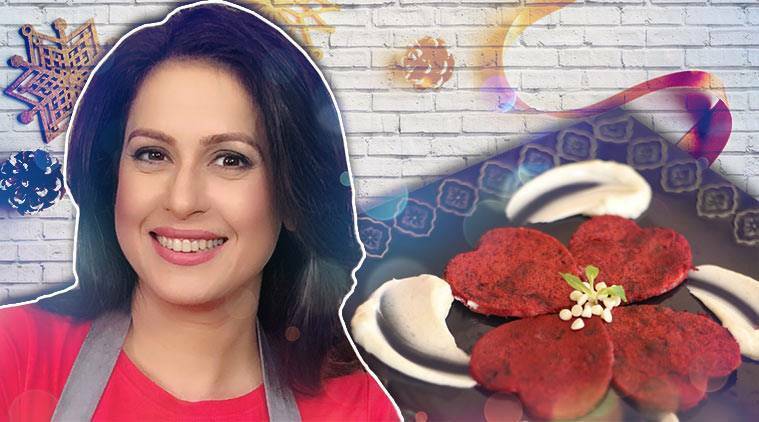 When it comes to cooking TV shows, the bubbly and beautiful face of Chef Amrita Raichand is a common sight. A great advocate of tasty but nutritious food, she began her journey with her two-year-old son, whom she struggled to feed healthy meals. Over the years, the model-actor has changed food dynamics of home cooking with the idea of gorgeous looking dishes that are also tasty and nutritious. 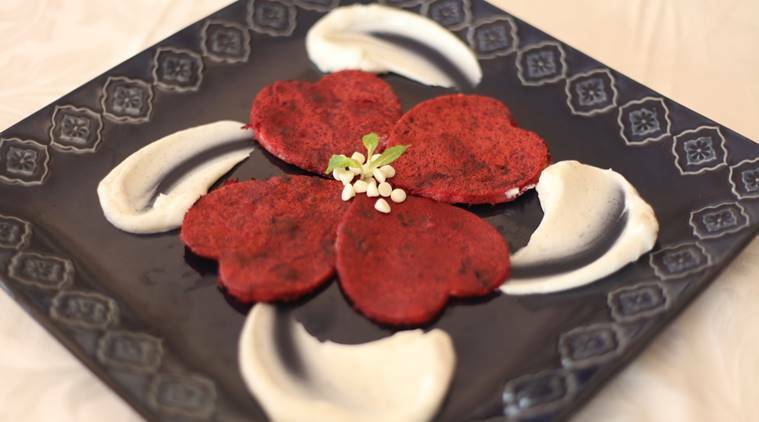 Some of them include the tricolour pasta that has carrots and beetroots in it, pizzas with nachni — a superfood — flower as topping, burger made of whole wheat and vegetable filled patties and pancakes made of oats. Speaking to indianexpress.com, the chef shares her idea of a healthy breakfast, nutrients she thinks Indian are missing in their diet and her favourite superfood. You have been largely associated with debunking the myth ‘ Healthy is boring’. Tell us more about it. My journey with debunking the myth ‘Healthy is boring’ started when my son, Agastya, turned two. Like most mothers, I started believing that my son is a fussy eater. He would be more receptive to outside food, than the nutritious meals I used to cook at home. Since forcing it on him didn’t work very well, I realised I would have to find another option or my child would be malnourished. I had a eureka moment when I realised that when healthy food was prepared in a sumptuous way and presented so as to look like junk food, my son loved it. That was because he didn’t realise that there were healthy ingredients in it. What major nutrients do you think Indians miss out on in their diet? We focus a lot on grains. On our plates, the portion of grains is way more than proteins, vegetables and other nutrients. Take for example, a common sight of a mound of rice on plates with little dal, little dahi and little sabzi. There should be more of that and less of grains. What is your idea of a healthy breakfast? A healthy breakfast should ideally comprise of something that gives you the energy to keep you active throughout the day. It should not be too heavy so as to make you sluggish. I don’t recommend taking a lot of grains but if you have to, then go for the wholesome variety, like oats, quinoa, poha, upma. These should be taken in small quantities though. To keep it light yet substantial, one can also go for a glass of milk or yoghurt with granola. I eat a bowl of mixed fruits, to begin with. Then I have a couple of poached eggs or omelette. Along with that I have sauteed spinach and mushrooms and lovely black coffee. The first thing you eat/drink when you wake up? When I wake up I drink about a bottle of water and a cup of black coffee. Your favourite nutritious meal to cook for your family? My son loves the roast chicken that I make and my husband loves Thai food. For my mother-in-law, I like to make my version of her Rajasthani food. Three ingredients you can’t do without in the kitchen? All my herbs, as I just can’t do without fresh herbs. I need parsley, thyme, rosemary, basil. Also, good quality cheese and great quality chocolate. Any nutrition advice to people who are trying to lose weight? I have followed two mantras to keep fit. Firstly, I really don’t eat a very heavy meal at night but keep it light like some grilled fish, chicken, soup, tofu, salad or sauted greens. Secondly, I try to eat around 8pm. Pomegranate and spinach are great. I also find millet, nachni (ragi), rajgiri (amaranth) as superfoods. I am very careful about the way I conduct myself. I don’t binge beyond a certain point. I have cheat days though, but instead of eating six motichoor ladoos, I’ll have one. * Beat the egg with an egg-beater till frothy, say about three minutes. * Add in the milk and grated beetroot and beat for another two mins. * Sieve together the flour, ground almonds, salt and baking powder (optional but better if you want lighter pancakes). Mix it with the egg mixture. Fold in the banana, beetroot and chocolate chips, fold in the melted butter in the end. * Let it till cook till it starts to dry out on the edges, flip over and cook for another minute on the other side. Serve with fresh cream, honey or mascarpone cream. * Beat everything together with an egg beater till you get soft peaks and serve. * Add some chopped pineapple in a pan and let it cook until the moisture has dried out. * Add khoya to it and mix it well. * Add some pistachio powder and sugar to the pan and cook the mixture well. * Add some cardamom powder to enhance the taste. * Keep stirring it until it thickens. * Turn off the gas and transfer the mixture into a glass dish. Flatten it and let it cool. * After the mixture has been cooled, place the glass dish in the refrigerator for about 30-35 minutes to set. * Once the mixture is set, place the katli on a chopping board and cut nice shapes with the help of a cookie cutter. 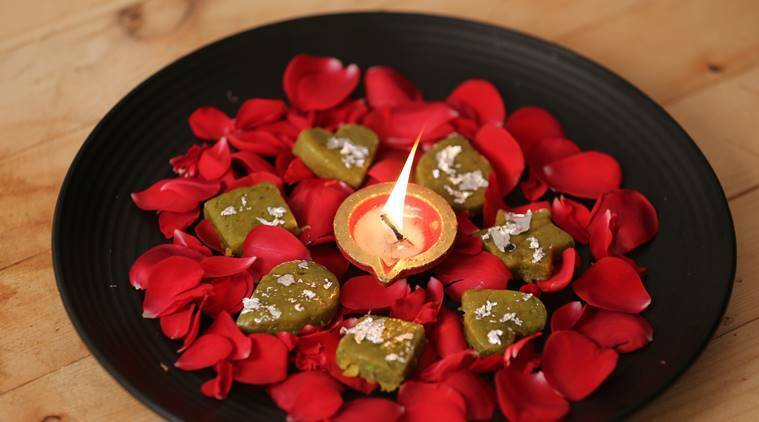 * Garnish with some silver varakh and rose petals.